Once upon a time I had an early Felicity in my collection that had similarly true red hair, but it wasn’t as.. shiny??? I kind of wish I still had her for comparison sake. Wendy, I visited your blog and think you did a fantastic job freckling Julia!! 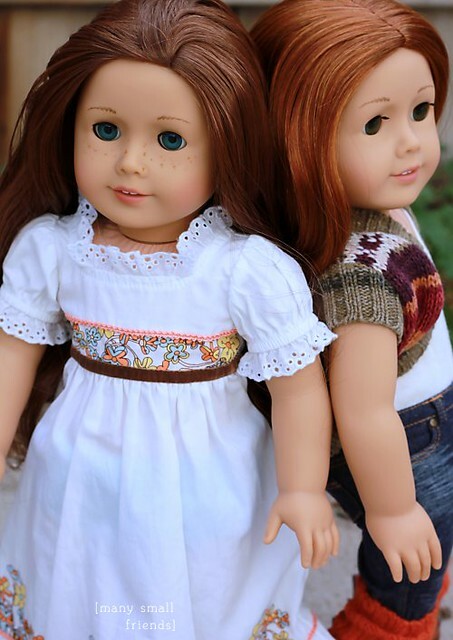 I have Saige, too, and since she’s a freckled red head, I’m okay with Ada being freckle-less. 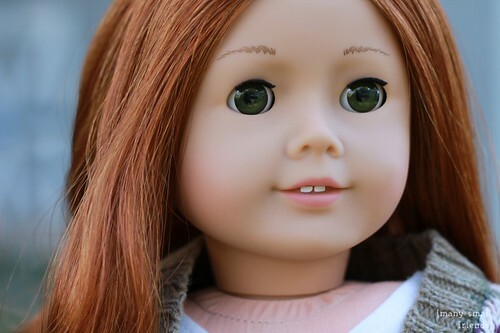 Congrats on your new doll-to-be and thank you for visiting and commenting!